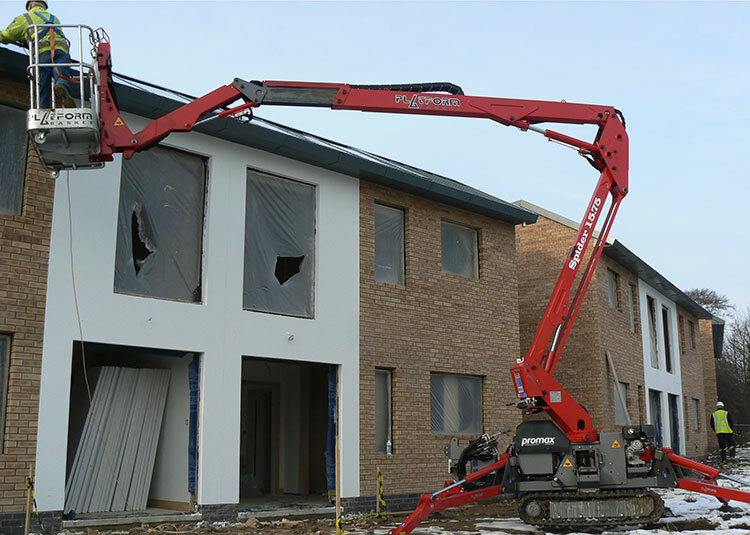 The Spider 15.75 is a compact tracked chassis access platform, featuring the very latest safety operating features. It has a single riser articulating boom plus telescopic boom and versatile fly-jib. Operation is smooth and stable whilst also providing an extreme maximum working outreach. 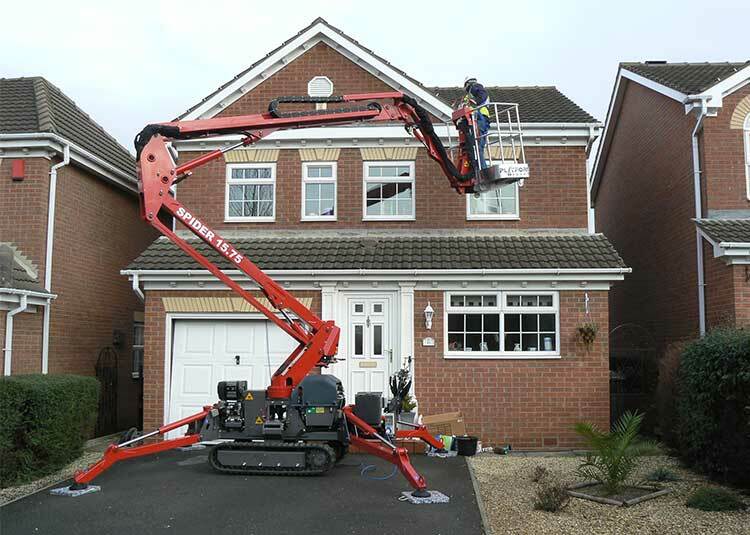 This gives the medium height access platform a big working envelope for both height and reach together. It is quick and easy to set-up and start working, featuring a unique user graphical display with onboard diagnostics. Dual power options make this medium height platform an all-rounder, perfect for both internal and external working. 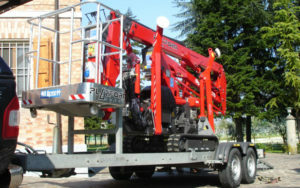 The Spider 15.75 will operate very well not only on poor terrain but also uneven ground. The longer track base provides greater stability as well as being kind to soft surfaces. Above all, this is a very strong and reliable machine, with exposed parts securely protected by metal guards. The Spider 15.75 is extremely reliable, has a large working envelope and big ground clearance. 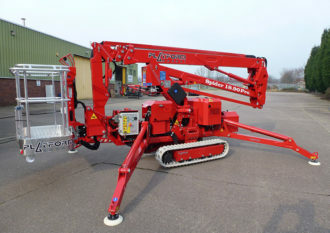 For total control both ground controls and cage controls are available to use on this machine. A unique user graphical display and onboard diagnostics makes this machine simple to operate. The high quality components and steel construction allows our machines to be durable, secure and light weight. The long track on the Spider 15.75 means lower ground pressure in order to prevent damage to any delicate flooring. This machine is road towable by trailer behind a 4×4 or van to allow you to easily transport the machine to different locations. An important feature is our premium engines having the latest hybrid technology, making them environmentally friendly and allowing you to work cleanly and quietly. 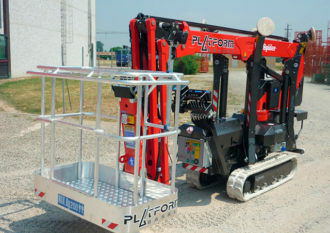 I can now tow my Spider access platform to site, so no more waiting around for hire machines to turn up or be collected. 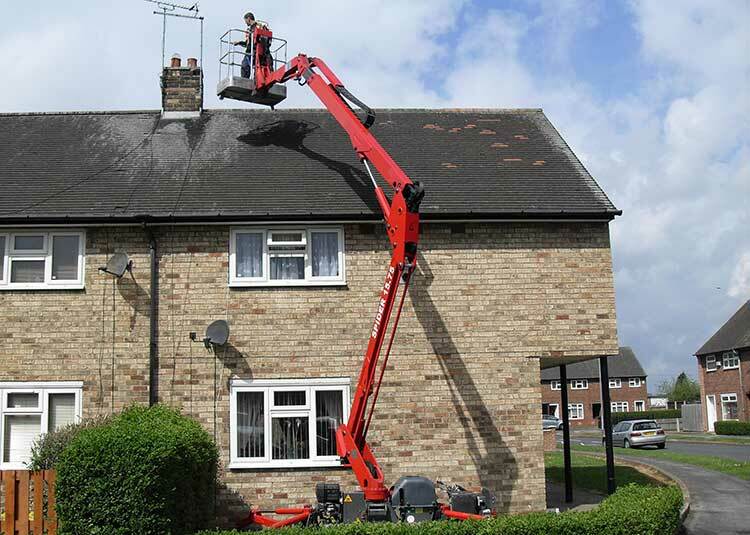 The water hose up the boom is very useful for pressure washing at height which makes doing the cleaning easy. I don’t have to worry about trailing hoses and cables any more. The radio control makes it easy and safe to operate and the high speed tracking allows me to get around sites quickly. The machine can get pretty much anywhere, inside or out. It’s really transformed the business and has nearly doubled the amount of work we can do in a day. I rarely set up a ladder now!